If you’re like me, your smartphone gets quite a workout throughout the average business day. And if your smartphone is anything like mine (iPhone 5C), it’s regularly in need of a charge. As such, a car charger is essential to give the phone a battery boost, even during a short trip. Enter Nonda’s ZUS Smart Car Charger, which can charge two high-wattage devices (phones, tablets) simultaneously — plus, claims Nonda, it charges up to two times faster than the average car charger. I can only speak anecdotally to ZUS’s superior charging speed (I didn’t exhaustively compare it to the “average” charger), but it does deliver a faster charge then typical chargers in my experience. It plugs into a vehicle’s 12-volt receptacle, and connects to your device via USB. Being able to quickly charge two devices at the same time is handy, of course, too, particularly if you’re carpooling or have a family. The ZUS also boasts a handy car locator feature that works with a smart phone app, available on both Apple and Android devises. Once the app is wirelessly connected to the charger, simply open the app and it guides you with an arrow to your car (this feature does not work in multi-level parking structures or underground lots). The app boasts other neat features, too, including a parking meter alert (essentially a time that provides a notification when your time is near up), a vehicle battery health monitor and a mileage log. 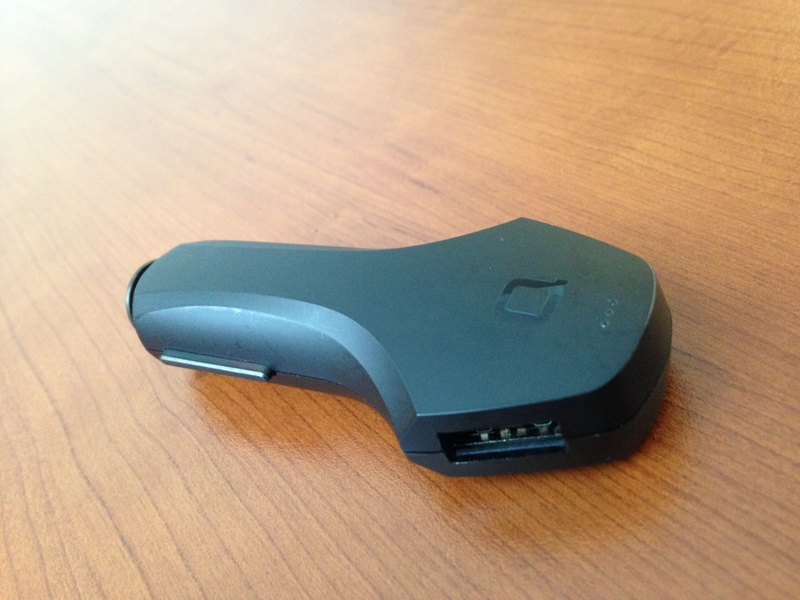 The ZUS is an extremely helpful quick car charger. Add in the neat car locator feature/app (which for me at least had limited applicability), and it’s very much worth considering if you’re looking for a fast smart phone car charger. (One note of caution: continued use of the GPS when using the car locator can quickly drain your smart phone’s battery.) Plus, it has a slick design that also makes it look nicer then the typical charger. Compatibility: iPhone, iPad, Samsung, Nexus and other devices that charge via USB. Fast charging is not compatible for devices with Qualcomm Quick Charge.